Mill+ collaborated with George P. Johnson/Spinifex Group U.S to create a new interactive and immersive experience for the Lexus Hoverboard ‘Ride The Slide’, which premiered at the Los Angeles Auto Show. 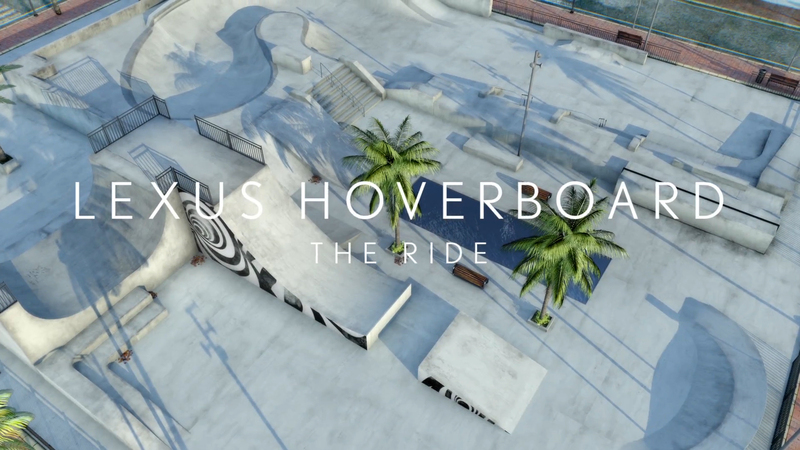 Building on the Lexus’ groundbreaking innovation in creating the world’s first fully functioning hoverboard, The Mill+ team were challenged to craft a real-time immersive ride that brought the rare experience of riding the Lexus Slide around its custom skatepark to life. George P. Johnson, Spinifex Group U.S.
We answered with a room you can ride, powered by a real-time game engine experience and a hacked pressure sensitive controller. The Mill’s Emerging Technology, VFX and Mill+ groups worked in collaboration with Spinifex Group U.S to craft a beachfront skate park simulation in a custom-built surround video cave. The real-time experience puts users in a visually & aurally dynamic environment as they drop into a quarter pipe and carve in bowls of the Lexus Slide Park. Co-creative director Westley Sarokin comments, “It’s more than a game. More than a film. More than a ride. We’ve blended them together to create an experience that induces wonder and play, transporting people to an enormously rare and playful experience. Users start the experience by standing on a pressure-sensitive controller that monitors the user’s weight distribution. 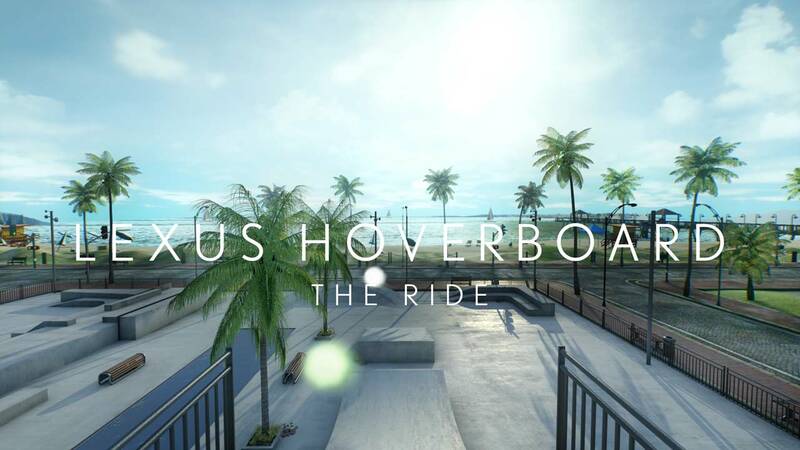 Speed and orientation of the Hoverboard ride through the virtual skate park are affected as the user leans forward, back, or side-to-side on a hardware hacked physical board. The hyper real skate park and surrounds were crafted in Epic Games’ Unreal Engine, and custom software was written by The Mill to distribute synchronized content across all 18 HD screens in the video cave at 60 frames per second. Event-based spatial audio was created and integrated into Unreal by Apollo Studios. A multiple camera system set up within the experience captures each user’s unique ride, allowing them to save and socially share a 15 second movie of their personal Lexus Hoverboard experience, using the hash tags #Lexus and #Hoverboard. The Mill’s custom video capture system runs on TouchDesigner, that communicates with both Unreal and iOS devices for user queue and start of experience, as well as manages realtime colour correction and editing. Immerse yourself in Lexus Slide and have your very own digital hoverboard experience.